And then I caused a riot! Ha ha! Great photo, plain, cows and all! Ha ha! They just wanted their portraits on 365! This is so funny, so many of them too. 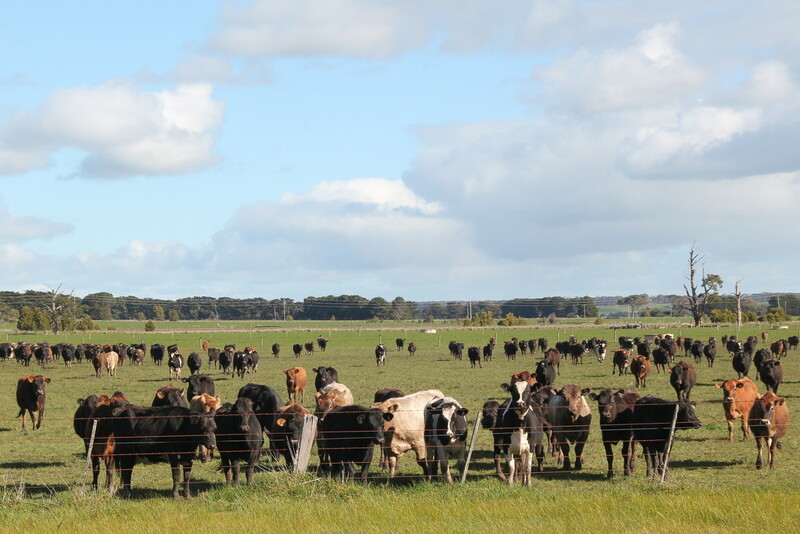 What a gorgeous shot of the cattle all coming to greet you - either in curiosity or in the hope of some tasty morsels ! .... and there are a lot of cows! Fun shot! Oh how funny- you can really see them running up to see if you've got goodies. Great shot! Cows are very inquisitive... Gorgeous shot! Ha ha, you have definitely got their attention. Look how popular you are! Wow, that's funny. Guess they were really expecting some kind of handout. Great capture. Thought you had the goodies - sorry boys. Trust you to stir things up a bit! Perhaps they just wanted to be in the pic. Great country scene and capture. Oh poor cows, what a disappointment! @gilbertwood Someone who looks remarkably like you.